The Northeast area of the USA has a dairy cow population of 1.4 million within 350 miles of our AminoMax® facility located in Watertown, New York State. Over 50% of the cows are on diets that contain plant based bypass protein such as AminoMax®. 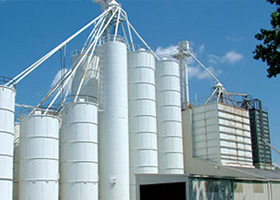 The AminoMax® facility was opened in October 2011 and our sales have continued to grow each year. Our Watertown facility is fully automated and was designed to produce the most consistent bypass protein product possible by utilising patented state-of-the-art technology. The process control allows us to track all aspects of the manufacturing process to ensure every production run is identical, which ensures a consistent product and in turn consistent performance for our customers. We are the only company worldwide that has successfully been able to utilise canola in addition to soybean and obtain excellent bypass protein values for both products. Our ability to blend soy and canola gives us a unique advantage over our competitors as we are able to deliver a wider range of amino acids to the dairy customer. This places AminoMax® as the most technically advanced bypass protein product in the USA. The global and domestic interest in AminoMax® is extremely high and we receive weekly enquiries from companies around the world. We have applied the knowledge, experience, and technology from our Watertown facility in establishing a new AminoMax® facility in Lancaster, UK, to satisfy the increasing demand from the UK dairy market.